The attorneys at Nicholson & Eastin, LLP concentrate their practice on representing health care practitioners and entities in all phases and aspects of health care fraud and abuse matters, whether in establishing compliance programs, conducting internal investigations, or representing providers and entities in administrative, civil or criminal investigations and proceedings. The attorneys at Nicholson & Eastin, LLP, have decades of experience handling health care fraud and abuse matters in state and federal court, as well as before administrative agencies. Mr. Nicholson has spent the majority of his more than 25 years in practice handling health care fraud matters. Mr. Nicholson is a former state and federal prosecutor, and during his tenure as a federal prosecutor, he was selected to serve as the district and national health care fraud coordinator for the U.S. Department of Justice. Mr. Nicholson formerly served on the Executive Council of the Florida Bar Health Law Section and as Co-Chair of the Enforcement Committee of the American Health Lawyers Association. Mr. Eastin has spent the majority of his more than 15 years in practice representing all levels of health care providers in government investigations and proceedings, including in civil, criminal and administrative cases, and has extensive experience conducting internal investigations. Ms. Ferber has spent the entirety of her private practice career representing health care providers in administrative, civil fraud and white collar criminal defense matters. Because of our extensive experience in handling a broad range of healthcare fraud and abuse matters, we bring an understanding of the issues, processes, and defenses that the majority of attorneys and law firms do not possess. Whether you have received a subpoena, notice of investigation, or have been charged with a health care fraud offense, the attorneys at Nicholson & Eastin, LLP can assist. We have handled similar matters before, and we can assist. 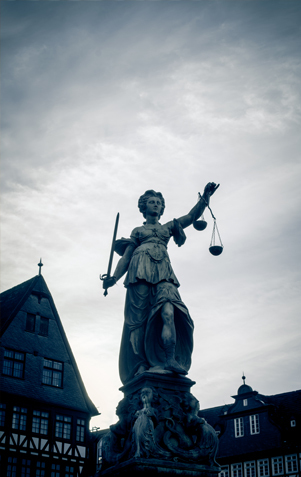 We represent clients in all Florida and federal courts, and before all Florida and federal administrative agencies. If you need assistance with a health care fraud matter, please contact us to schedule an appointment. We provide evening and weekend appointments.